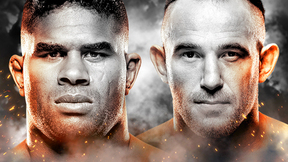 HooknShoot: Absolute Fighting Championships 1 from December 12, 2002 in Florida, USA. Wilson Gouveia vs Jon Fitch HooknShoot: Absolute Fighting Championships 1 Dec 13, 2002 (4:27) Wilson Gouveia vs Jon Fitch at HooknShoot: Absolute Fighting Championships 1 from December 12, 2002 in Florida, USA. Matt Hume vs Shawn Peters HooknShoot: Absolute Fighting Championships 1 Dec 13, 2002 (6:36) Matt Hume vs Shawn Peters at HooknShoot: Absolute Fighting Championships 1 from December 12, 2002 in Florida, USA. 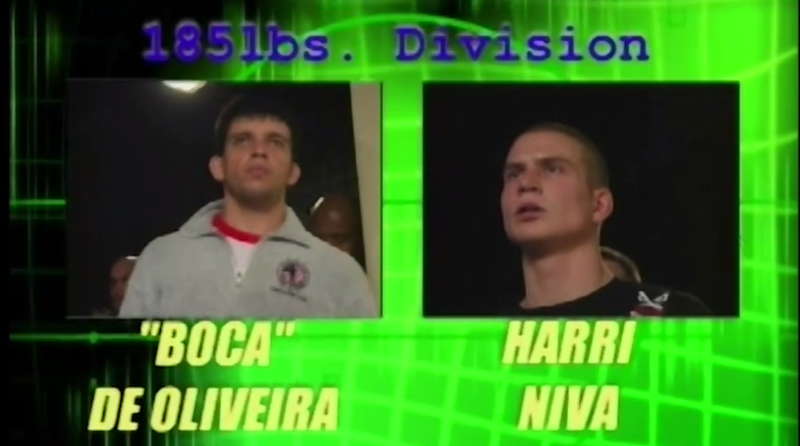 Moacir Oliveira vs Harri Niva HooknShoot: Absolute Fighting Championships 1 Dec 13, 2002 (8:50) Moacir Oliveira vs Harri Niva at HooknShoot: Absolute Fighting Championships 1 from December 12, 2002 in Florida, USA. Hermes Franca vs Ryan Diaz HooknShoot: Absolute Fighting Championships 1 Dec 13, 2002 (7:57) Hermes Franca vs Ryan Diaz at HooknShoot: Absolute Fighting Championships 1 from December 12, 2002 in Florida, USA. 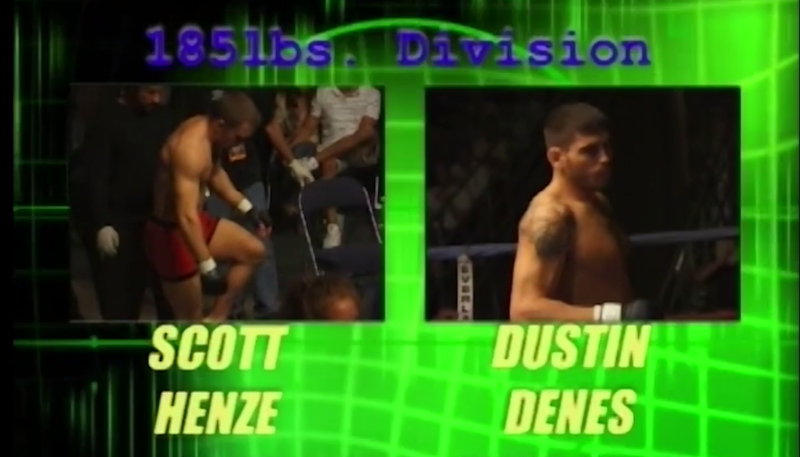 Dustin Denes vs Scott Henze HooknShoot: Absolute Fighting Championships 1 Dec 13, 2002 (7:45) Dustin Denes vs Scott Henze at HooknShoot: Absolute Fighting Championships 1 from December 12, 2002 in Florida, USA. 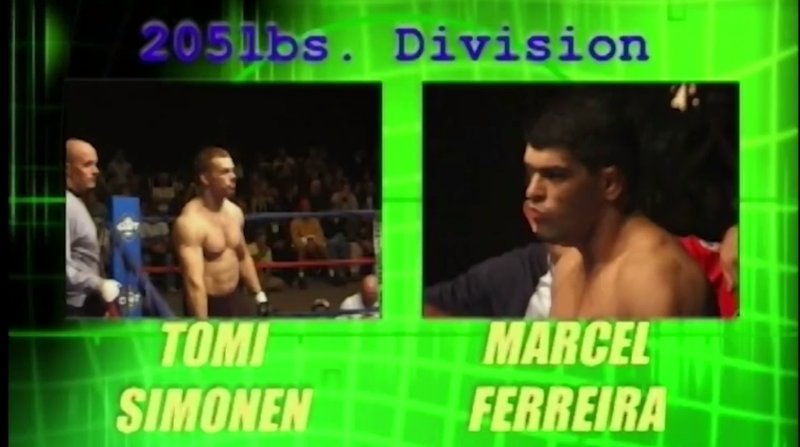 Marcel Ferreira vs Tomi Simonem HooknShoot: Absolute Fighting Championships 1 Dec 13, 2002 (4:09) Marcel Ferreira vs Tomi Simonem at HooknShoot: Absolute Fighting Championships 1 from December 12, 2002 in Florida, USA. 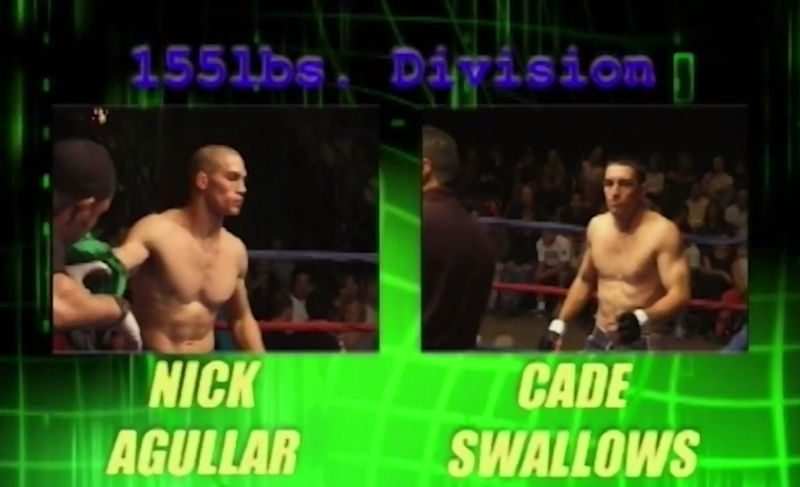 Nick Agallar vs Cade Swallows HooknShoot: Absolute Fighting Championships 1 Dec 13, 2002 (5:10) Nick Agallar vs Cade Swallows at HooknShoot: Absolute Fighting Championships 1 from December 12, 2002 in Florida, USA. 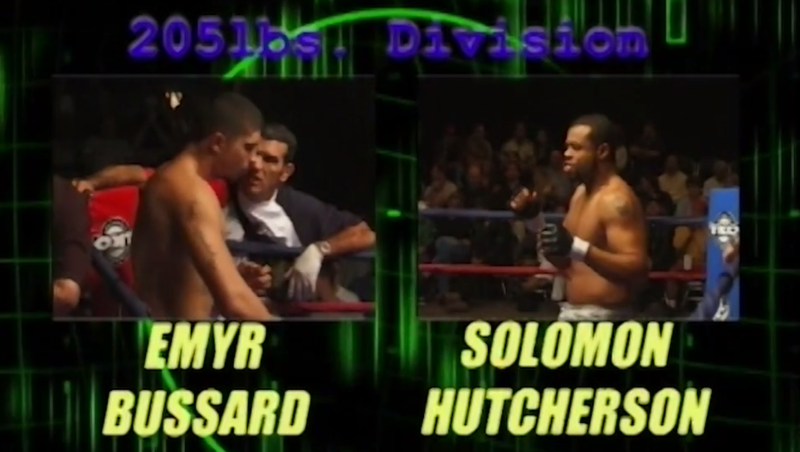 Emyr Bussade vs Solomon Hutcherson HooknShoot: Absolute Fighting Championships 1 Dec 13, 2002 (4:47) Emyr Bussade vs Solomon Hutcherson at HooknShoot: Absolute Fighting Championships 1 from December 12, 2002 in Florida, USA. 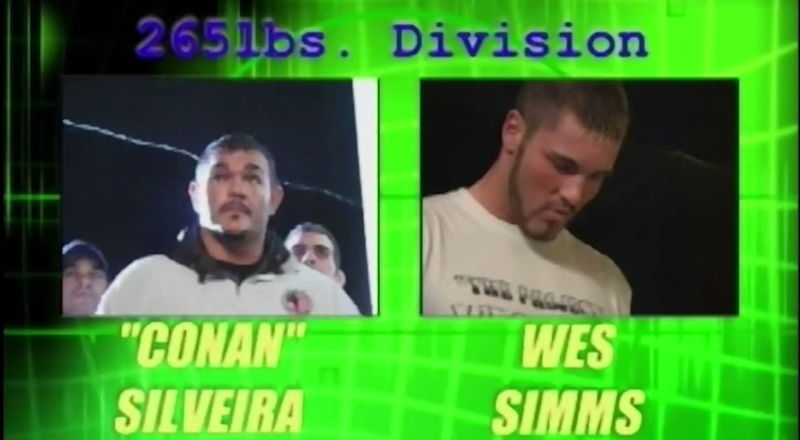 Wes Sims vs Marcus Silveira HooknShoot: Absolute Fighting Championships 1 Dec 13, 2002 (14:00) Wes Sims vs Marcus Silveira at HooknShoot: Absolute Fighting Championships 1 from December 12, 2002 in Florida, USA. 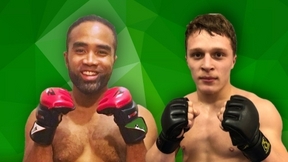 Aaron Riley vs Alexandre Barros HooknShoot: Absolute Fighting Championships 1 Dec 13, 2002 (23:27) Aaron Riley vs Alexandre Barros at HooknShoot: Absolute Fighting Championships 1 from December 12, 2002 in Florida, USA. 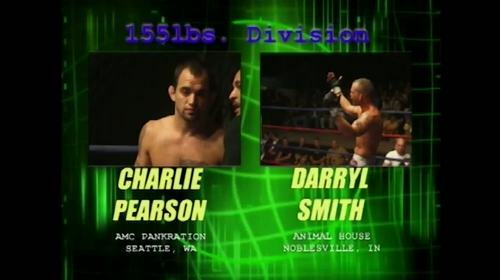 Darrell Smith vs Charlie Pearson HooknShoot: Absolute Fighting Championships 1 Dec 13, 2002 (6:18) Darrell Smith vs Charlie Pearson at HooknShoot: Absolute Fighting Championships 1 from December 12, 2002 in Florida, USA. 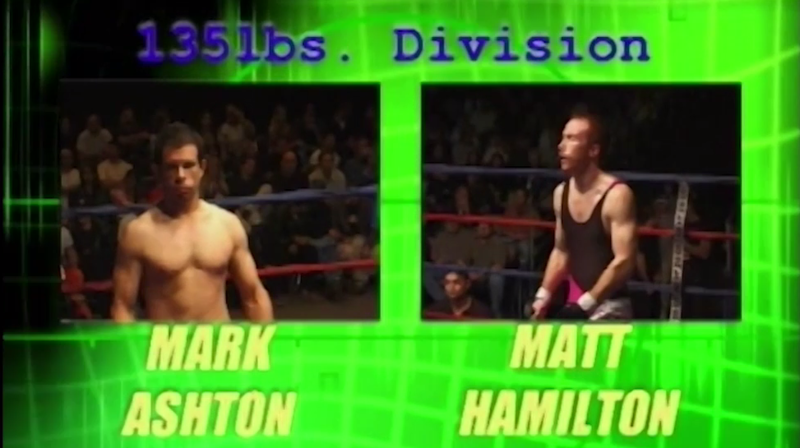 Matt Hamilton vs Mark Ashton HooknShoot: Absolute Fighting Championships 1 Dec 13, 2002 (6:57) Matt Hamilton vs Mark Ashton at HooknShoot: Absolute Fighting Championships 1 from December 12, 2002 in Florida, USA.